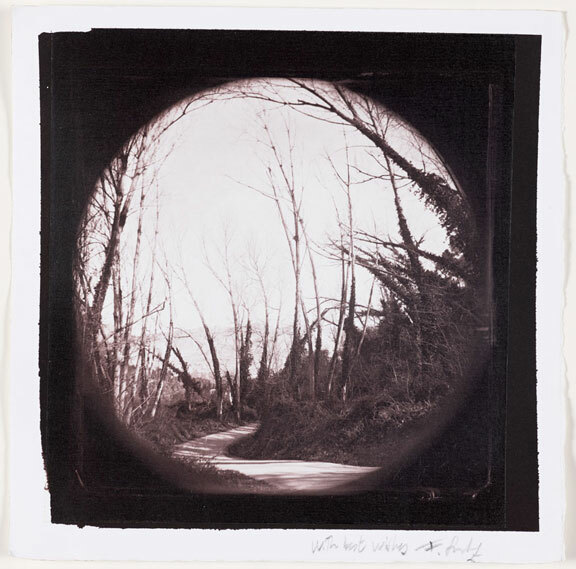 This wonderful salt print is by Fran Sanchez Montesinos. He doesn’t have a website but you can find him via FB, Instagram and Flickr. I’d noticed Frans work on Facebook. I’ve been appreciating some of his fantastic salt prints from wet plate collodion negatives, I especially like the circular vignette format, something I’ve used myself in the past. I contacted Fran to see if he sells his work. I rarely purchase photographic modern works but this image in particular I thought I’d be a little cheeky and ask if I could buy a print. Luckily Fran was very happy that I had got in touch and that I was keen to purchase some of his work. He sent me this video clip of the print during its final finishing stages. We came to a mutually agreeable arrangement and print arrived at my desk today. To say I’m very happy with it would be an understatement. The problem is, now I’ve seen some of his other images, I’m very tempted to purchase more! Thank you Fran, this is getting framed asap. 07 Mar This entry was written by Fourtoes, posted on March 7, 2018 at 3:02 PM, filed under Alternate Processes, Wet Plate..